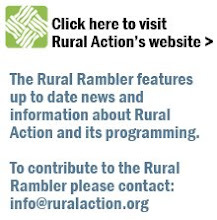 Rural Action is a member of the Central Appalachian Regional Network (CARN) and applauds the work of its colleagues to bring visibility and real solutions to the issue of high speed internet in West Virginia. On December 14th, Central Appalachian Regional Network partnered with the West Virginia Center on Budget and Policy to host a press conference on WV Broadband Efforts. A copy of the press release is below. Click to view photos, hear the press conference, or download the press release. Visit www.CARNnet.org for more news and events.